According to this site, he's a lawyer and PR agent for Afghan president Karzai's brother, Mahmood, and he does the same for President Karzai's other two brothers, Ahmed Wali and Qayum. This article is noteworthy for rebutting Posner's book on the MLK assassination. It provides a photo of the heavy brush in the backyard of Bessie Brewer's boarding house. This wild growth of brush was cut down very early in the morning of the day after Dr. King was assassinated. 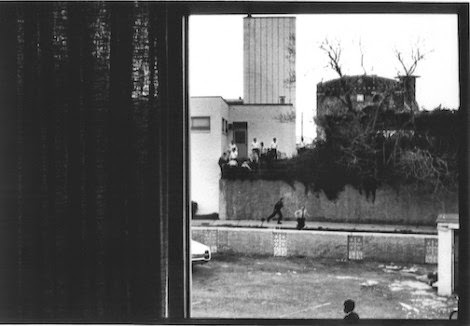 This photo was taken immediately after the assassination and shows a surprising number of people, two of whom see to be running away from the scene. Unfortunately, the link to the Department of Justice website where this photo came from is no longer working.